My name is Andrew Lamica. 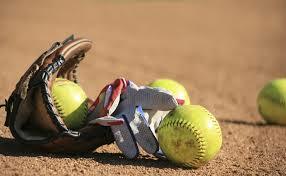 I am the new Head Coach of CCA Middle School Softball, a home school softball team for 5th-8th grade girls. I wanted to invite you to like the team's new Facebook page located at https://www.facebook.com/CCALadyFalconsSoftball/. We will be hosting clinics and tryouts in the near future for the upcoming season (with practices starting in October). If you know of any girls in this age range that might be interested in joining please pass the info along to them. The middle school softball team will be a Christ centered team with a purpose of glorifying the Father in all that we do. We will play in the Huntsville Middle School League as well as play other games and tournaments. Please feel free to contact me with any questions you might have. I hope you will take the time to like our page and share it with your friends. We would love to have a great home school softball team for middle school girls!